The belief that you are somehow more powerful or more important than you are, or perhaps anybody is, is a serious and sometimes dangerous misperception. When I went on my trip to the U.N. in the midst of serious psychosis I believed, though I was still resistant, that I was a prophet sent by God to bring peace to the world. I had a philosophy of light balancing out dark, good balancing evil and opposite extremes cooperating to form a cohesive whole. I was unclear then on how exactly this partial philosophy would bring peace to the world and now, ten years out, I’m even more confused by it. The thing is, I was sure that I was a vastly important public figure. This too was confused; I would vacillate between the idea that I was a prophet and the idea that I was “King of America” or the newly ordained president. I thought that senators and the media and newscasters and the President had all trained their eyes on me through hidden cameras and microphones and were waiting on my indications and decisions on world affairs. I was also convinced that I had a hand in deciding Supreme Court cases and passing bills and laws simply by saying “YES!” or “Screw that!” in my apartment in front of a stream of C-Span and other news networks. I thought that, when news anchors were talking about the President, they were talking about me. Of course they weren’t but that conception, that I was somehow an extremely important individual was front and center in my thoughts. Imagine that, for all intents and purposes, you were getting secret messages from the government. These would come in veiled correspondence and through the TV and radio. You have to decode these secret messages. You’d start to wonder why you were receiving them, wouldn’t you? Maybe you’re important. You’re a spy. You’re Jesus Christ. There’s something magical or supernatural about you that even you don’t realize. This is where delusions of grandeur take root. Delusions of grandeur can present in myriad ways, always different but also always united by a common theme: that somehow the world has taken notice of you. It’s a strange set of circumstances to fall into these delusions but, given the psychosis, anyone experiencing it might well come to the same conclusions. 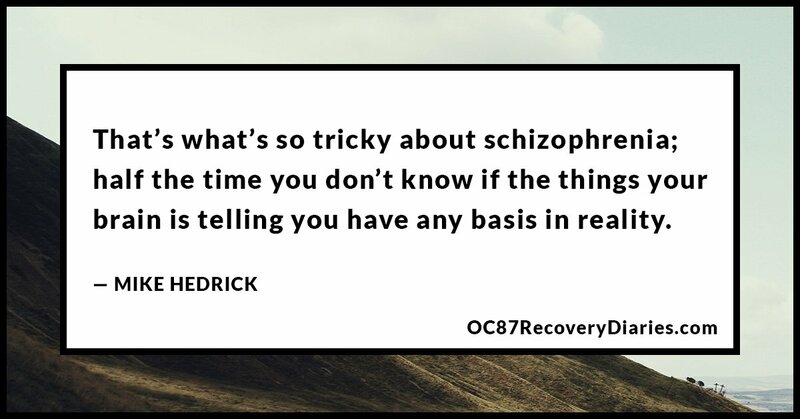 That’s what’s so tricky about schizophrenia; half the time you don’t know if the things your brain is telling you have any basis in reality. The process starts simply enough, oftentimes with paranoia. You begin to have the sneaking suspicion that the laughter you hear across the coffee shop is about you. You hear a snippet of conversation about some person and your mind jumps to the conclusion that this conversation is about you. Maybe someone looks at you weirdly or says something innocuous that you take to imply as something else. Either way, these little instances build up into a cohesive narrative that people you barely know care much more about you and are more focused on you than they are on themselves. Clearly, that thought process alone is invalid but you don’t realize that and you think that people are invested in you even more than you are. There has to be some egotism inherent in all of this because it’s one of the only things that can explain this level of thinking. You see these indications in the media, you see that they know things about you and you wonder how they know, well, the only explanation is that they have been following you for a long, long time, that they have seen every instance of your life and that they know about the time in third grade where you peed in your pants playing hop-scotch and that you’re still embarrassed about that today. They’ve had their eyes on you for a long, long time. There’s a reason why “The Truman Show” is a favorite movie to several people I know who have schizophrenia. The film speaks so firmly to the core belief inherent in the illness, that somehow you’re being watched. It’s easy to see at this point that this whole thought process is scary and seems very invasive but that’s how the delusions of grandeur come about: through a process of slow, methodical, yet very skewed conclusions about what’s happening. Why would anybody be watching you like this? Why would you be of so much interest to anyone– especially authors, musicians and senators? 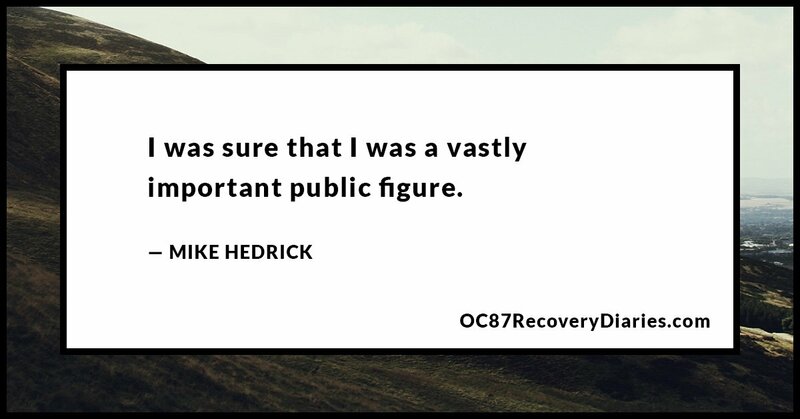 The only real conclusion you can come to is that you are somehow a very important person. You may not even know what you are but there’s a reason so many people are following you through cameras and microphones so small and so well-placed that even tearing apart you appliances doesn’t reveal any results. The point is: you know you’re important, you know other people think you’re important so what’s the deal? That’s essentially how it feels to have delusions of grandeur, it comes on slowly through a process of messy thoughts and it can overtake you at a moment’s notice. 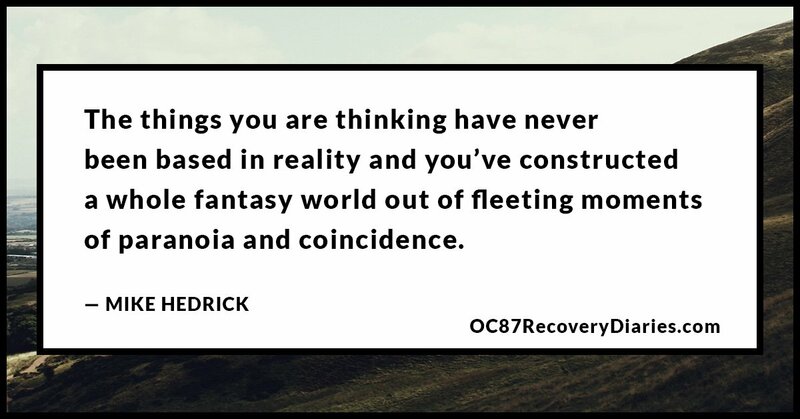 You need to know that the things you are thinking have never been based in reality and you’ve constructed a whole fantasy world out of fleeting moments of paranoia and coincidence. It’s hard not to do that when dopamine isn’t flooding your brain. Take, for example, having a serious crush on that cute person in class or at work, every little thing they do or say means something and you know it. That’s what having schizophrenia is like except that crush is on society. It isn’t real though, the things you are thinking are just a function of too much dopamine. A common experience among people with schizophrenia is the feeling that they are a prophet or a God or a king or the President. It’s easy to see why given the underlying paranoia. I always knew something was off, though. There was never any concrete evidence that I was a prophet despite my breaking bread with passengers at a train station in New York at 4 o’clock in the morning. If you have some insight, you probably know that this notion that you’re vastly important isn’t entirely rooted in reality. You probably have doubts about the whole thing and you probably don’t even want the responsibility. Listen to that voice and talk to anyone else about these thoughts and they’ll let you know that you’re wrong. I know how hard it can be to fully absorb that conclusion though, these things seem so real and after all, they give you a sense of purpose. If you aren’t a prophet what are you? Welcome to the process of getting better. It will take time but you’ll learn to deal with your thoughts. Figuring out the reality of the situation when you are under a haze of delusion is a little like a really hard logic problem. You’re faced with a vague question about what’s going on and you have to put a good deal of mental energy into, not only discounting this question but figuring out, with the evidence available, what is actually occurring. 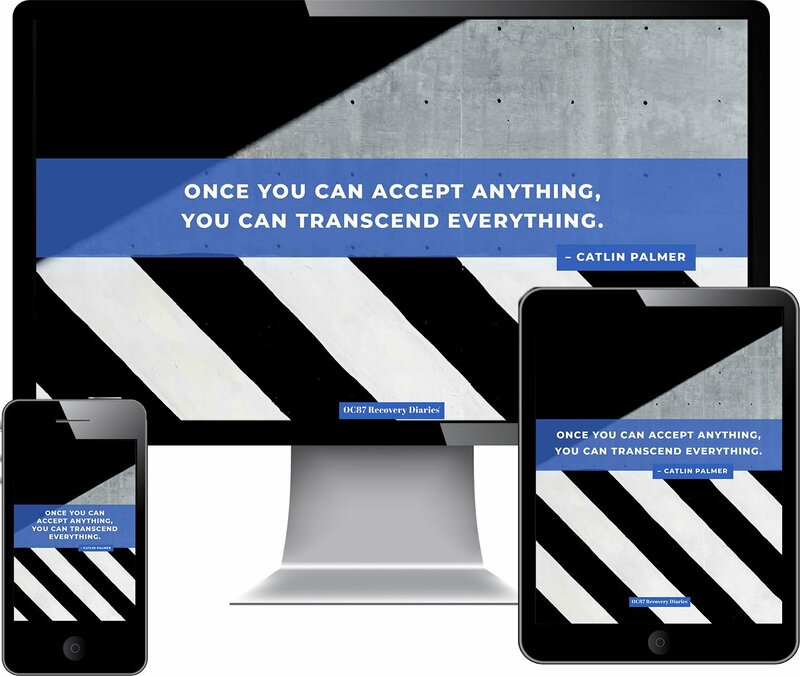 You need to have a basis of reality; a baseline for what you know is real and then you have to work off that baseline to counter the arguments your mind is making. It’s important to be aware of the voices in your head and when they’re talking and your conscious awareness is subject to these voices’ whims. It’s a very complicated process but there are ways you can get better at it. 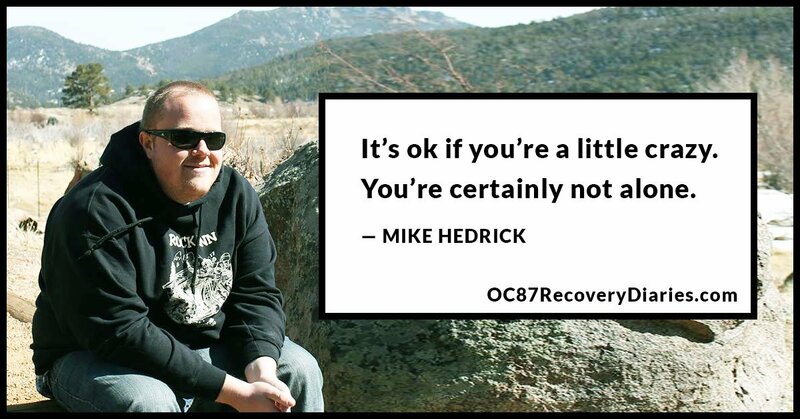 Cognitive behavioral therapy is a profound way to counter the voices and the delusions. You slowly will come to recognize when these delusions and the paranoia are happening and you accept or confront these delusions. Sometimes it takes me a while to respond to questions and situations but that’s because my cogs are turning and I’m working out the best way to respond. That’s kind of how living with delusions is going to go. It’s a huge, never-ending puzzle and, while it may seem overwhelming at the outset, once you get used to it, you’ll be so sharp that not even the Times Sunday Crossword can trip you up. 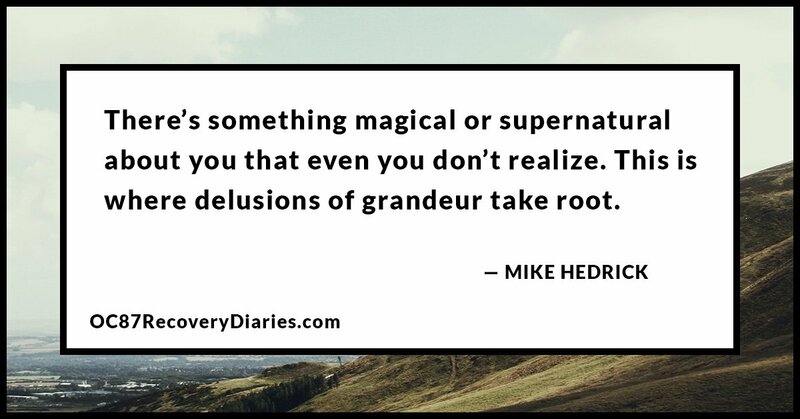 Delusions of grandeur are part and parcel of the experience of psychosis and it’s ok if you’re experiencing them. It’s ok if you’re a little crazy. You’re certainly not alone.